Gustavo Ayon (b. 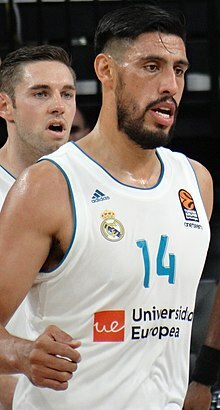 1 April 1985 is a Mexican NBA basketball player. He was born in Tepic, Mexico. He currently is playing for the Orlando Magic. ↑ "Gustavo Ayons Stats, News, Videos, Highlights, Pictures, Bio". ESPN. Retrieved 3 January 2013. This page was last changed on 26 January 2019, at 18:13.